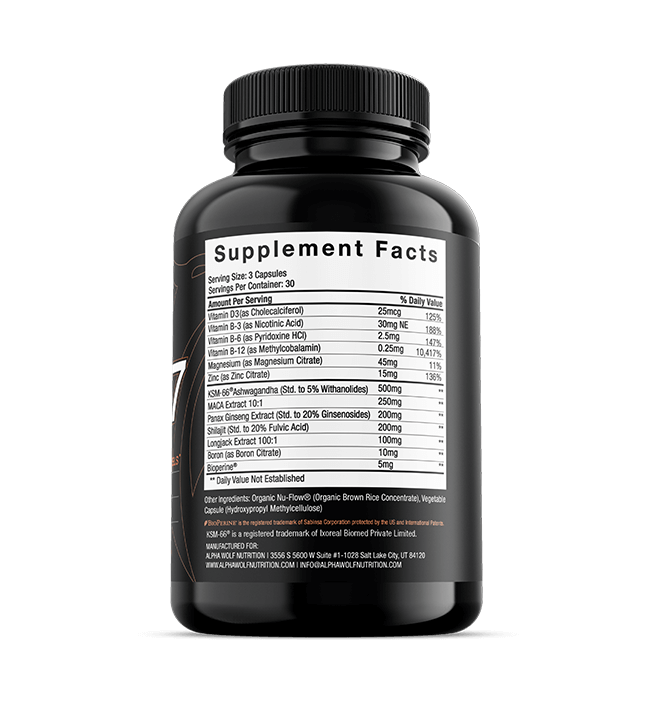 Alpha Wolf Nutrition’s Testosterone Booster Force X7 reviewed. It is our #1 rated testosterone booster for a reason… it freaking works! 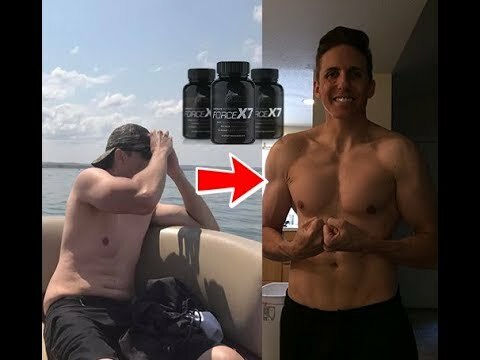 Full Review Disclaimer: In addition to being the chief editor here at iTestosterone, I am the lead product developer for Force X7 so I am probably biased towards a product I put hundreds of hours of time into creating. With that said, I honestly do not believe you will not find a more effective natural testosterone booster on the market. 2017 World Champion Spartan Race winner, Cody Moat also gave it a non-paid endorsement so there is that too! Force X7 was created from the exact same science I and the other writers here at iTestosterone have used to get to the truth in supplements and give you, our readers, the best and most honest information on herbs, vitamins, minerals and foods you can trust! Vitamins: B3, B6, B12, and D3. Herbal Support: Ashwagandha Root (KSM-66), Maca Root, Panax Ginseng, Shilajit Extract and Longjack (Tongkat Ali). 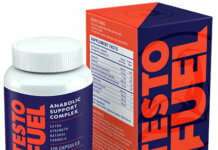 No other testosterone booster on the market provides you with a more complete mix of vitamins and minerals. Alpha Wolf Nutrition doesn’t skimp on the quantities in Force X7 and you get exactly what you need to maximize your testosterone. Alpha Wolf Nutrition does not hide anything in a “proprietary blend” like some companies do. You know exactly what you are getting. The scientific research was based primarily on actual human studies, instead of rats or primates. Force X7 includeds Bioperine® which is to aid your body in absorbing all of the other nutrients and ensure you are getting everything out of Force X7 it is giving you. Incredible ingredient list for the price. Nothing comes anywhere close to it on the market today. Real User Reviews, Not Paid Actors! It’s the Details that Matter! Alpha Wolf Nutrition pays attention to even the smallest details. For example, did you know there are two different forms of b12 supplement manufacturers often chose between? Cyanocobalamin is a chemically synthesized form and is cheaper to manufacture so it is the most common type added to supplements. However, the body does not absorb it very well and it also contains a cyanide molecule the body has to remove and discard. Methylcobalamin on the other hand, is the most bioavailable form of b12, meaning it is the most well absorbed. It is also the form needed for your nervous system to function properly! Alpha Wolf Nutrition goes all out on every aspect of their testosterone booster and ensures you get b12 made from Methylcobalamin. You Actually Get 3% More! To ensure you get every last molecule of their ingredients on the label, Alpha Wolf Nutrition is actually manufactured with an overage of at least 3% to ensure every single capsule gives you the maximum testosterone boosting effectiveness. 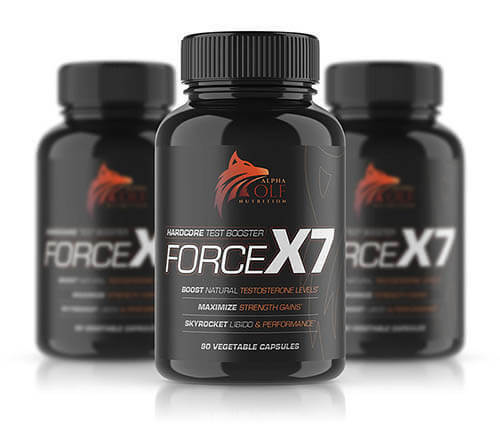 Force X7 checks off all of the boxes; from the human based research, to the quantity and quality of the ingredients, to the price point. 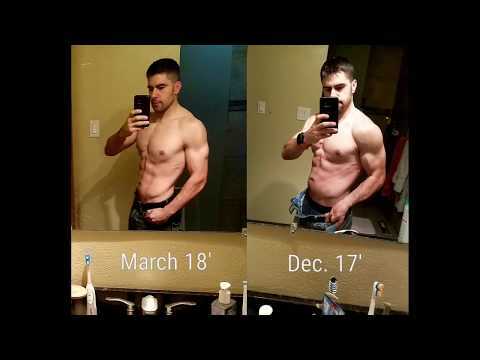 Alpha Wolf Nutrition is changing the expectations of high quality supplements for the better and Force X7 is by far and away the best, 100% all natural, testosterone boosting supplement on the market today. 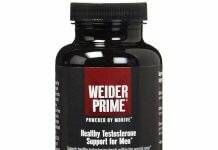 Our #1 rated testosterone booster. Force X7 provides a more complete mix of vitamins and minerals than any other booster. Incredible ingredient list for the price. Scientific research was based primarily on actual human studies. Bioperine® included to aid your body in absorbing all of the nutrients.